On a chilly winter evening, when most people were dozing in front of their television sets, a gathering of men and women streamed into a stylish new townhome, laughing and bantering good-naturedly like old friends. Except these were new friends, happily brought together when each recently bought residences in Cooper’s Mill Retirement Community. Friendships form easily in Cooper’s Mill. “Widowed people who didn’t know a soul when they moved in are now in a tightly knit community,” observes Rob Mathers of Rob Mathers Realty Ltd. He handles the property sales and is delighted to see new buyers fit so quickly into the neighbourhood’s laidback, friendly rhythm. Each townhome is a turnkey project, constructed and completely finished by BK Cornerstone Design/Build Ltd. Prices start in the low $170,000s. As the model home at 390 Millstone Lane reveals, the townhouses are spacious and light filled, with convenient, intelligent floor plans. 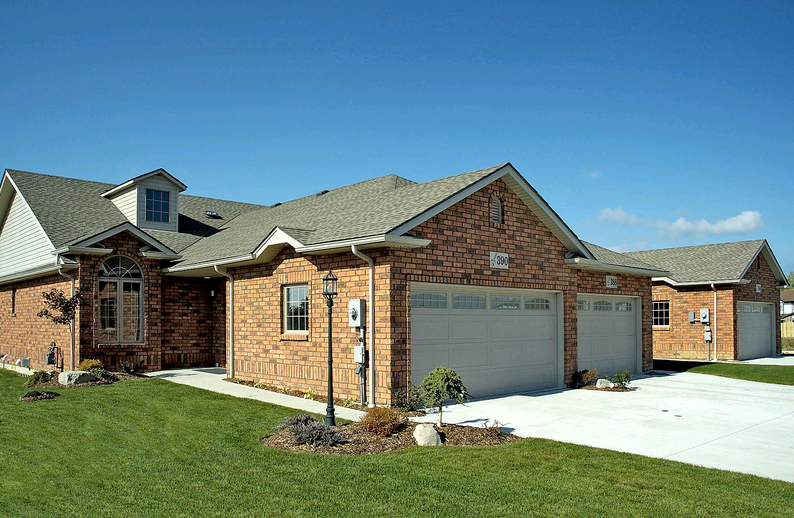 All of the homes are ranch style with one floor living. The Greens’ finished basement comfortably accommodates visiting family. Lawn maintenance and snow removal are offered, although the gardening Greens do their own yard work. The real allure of Cooper’s Mill, however, is its community spirit. “We look after and care for one another here,” Jim says. The support of the neighbourhood is felt especially at times of illness and death. When a resident’s beloved dog died, everyone grieved. Knowing people are watching out for them, residents feel secure in leaving their homes behind when they get the urge to travel. When they return, there is companionship waiting.